This is my favorite way to make fish. It’s healthy, yet gives you all the crispy goodness you love from fried fish. It uses only a couple of ingredients, is super quick, and makes you look like a culinary genius with extremely little effort. You can do this with lots of fish; I’ve prepared cod, tilapia, and halibut this way, but salmon is my favorite and what we’re working with today. 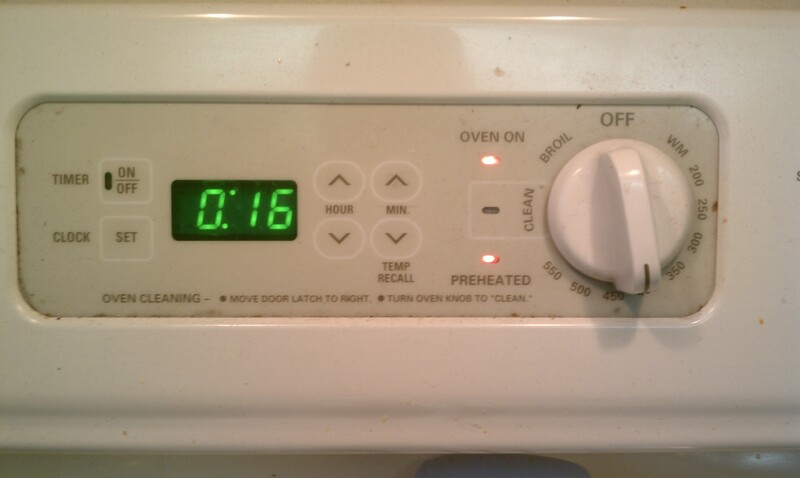 Please forgive the blurry photos, my kitchen light isn’t the best right now. Rinse fish off and pat dry with a paper towel. 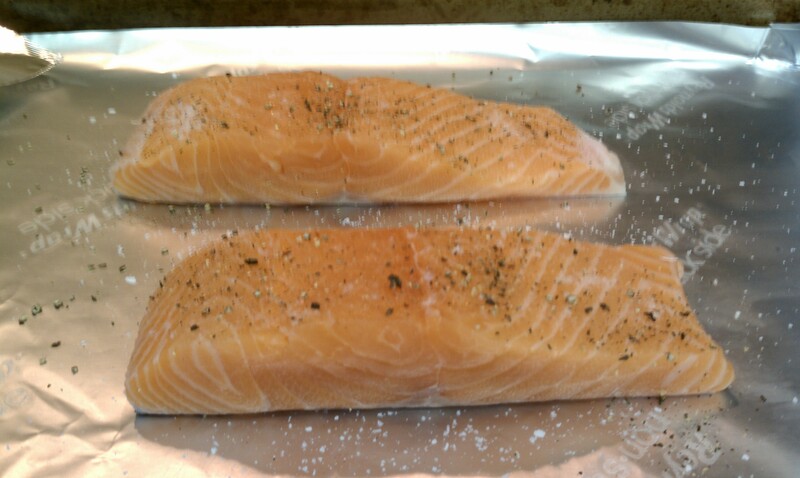 Line a baking sheet with foil and lightly spray with cooking spray. Place fish skin-side down on the foil and sprinkle with salt and pepper. 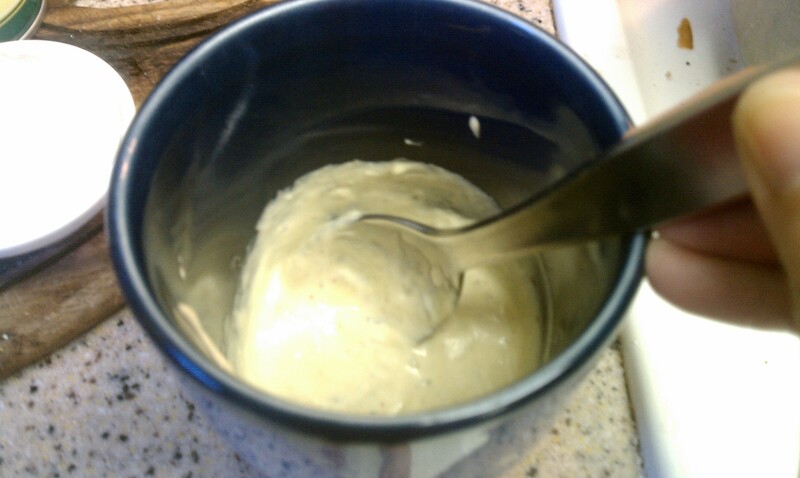 In a small dish, mix together mayonnaise and mustard and lemon juice. 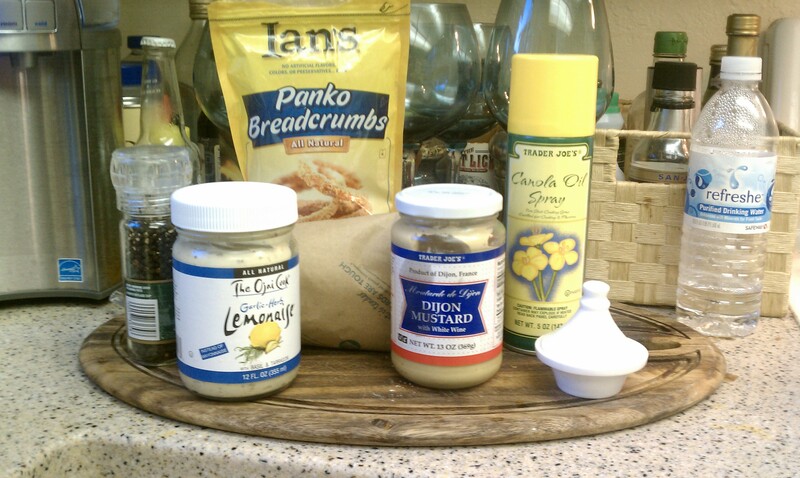 Or you could go fancy and use a flavored mayonnaise and omit the juice. It’s up to your taste buds. 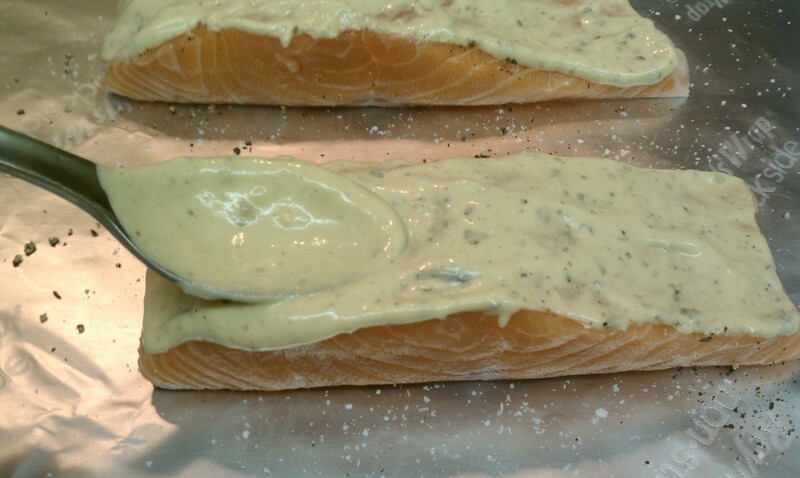 Spread mayonnaise mixture on the top of your fish. Aim for an even layer, just thick enough that you don’t see much fish showing through. 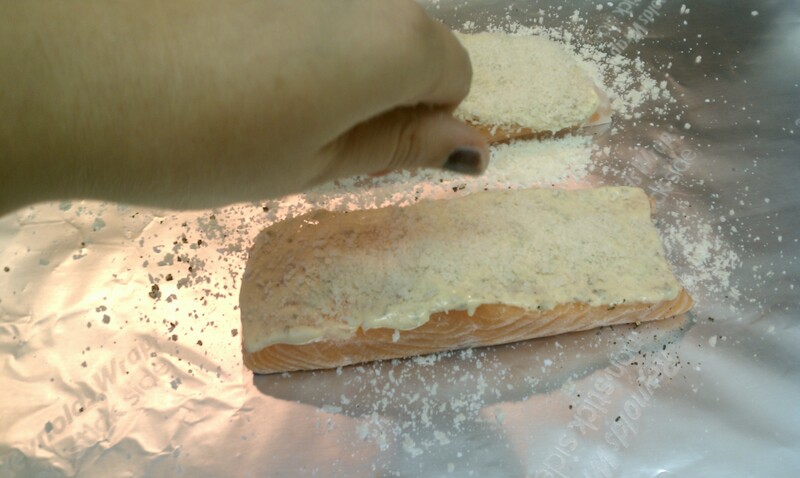 Sprinkle panko crumbs on top of the fish, pressing them into the mayonnaise mixture to make sure they stick. 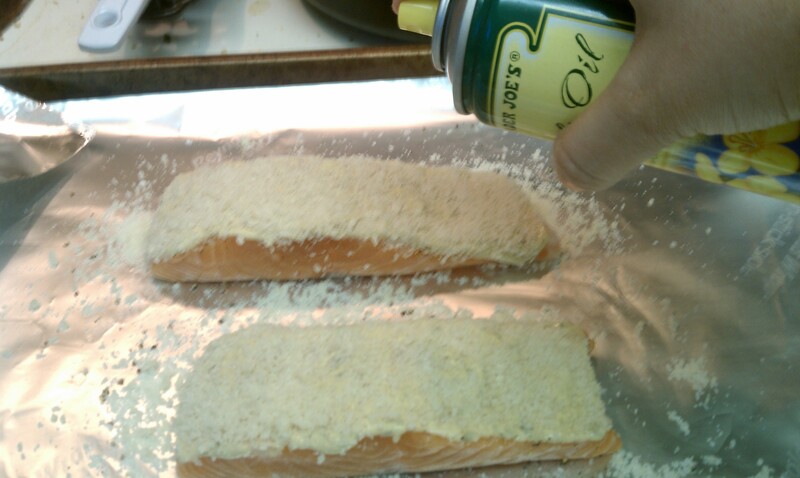 Spray lightly with oil, so that the panko will crisp. 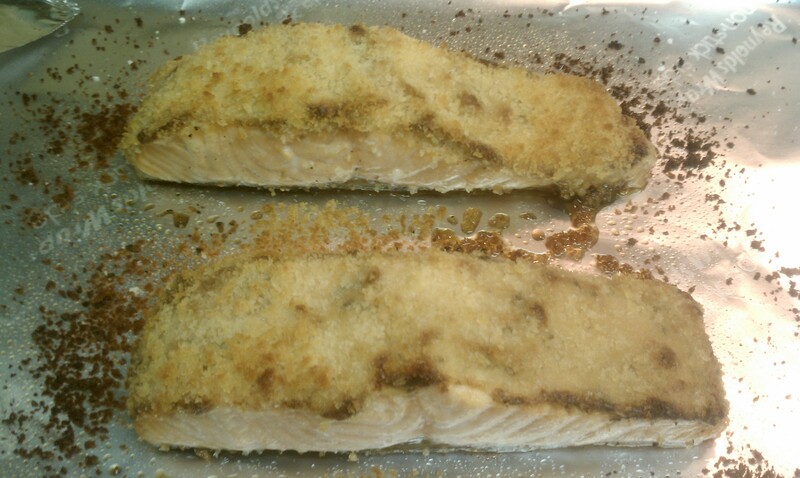 Pop into the oven for 15-17 minutes or until fish is opaque and panko crumbs are toasty brown. If you got the skin crispy enough you can eat it, or just eat the fish leaving the skin behind for an even healthier meal. 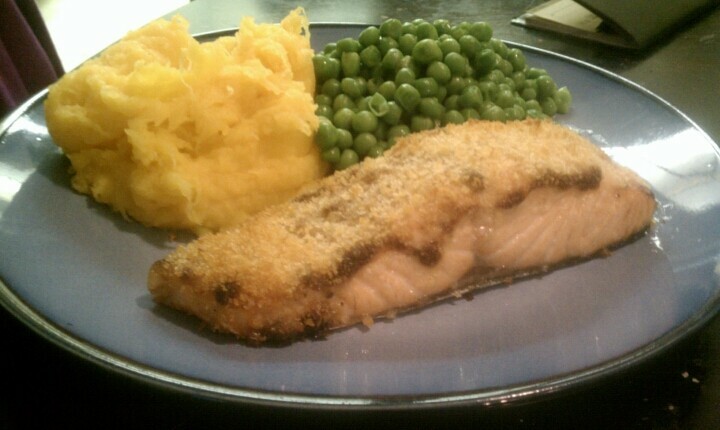 I love serving this with asparagus, but we went with sweet potato puree and peas tonight.